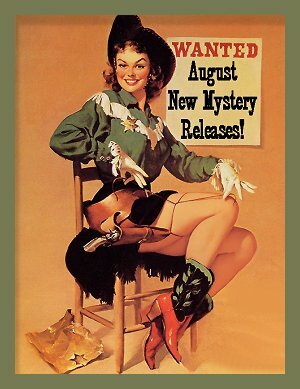 August 2016 New Mystery Releases! So far, I've been having a bookworm's dream of a summer. 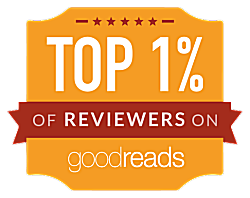 Like many readers, I have a reading goal set at Goodreads, and as house guests and various other things put me farther and farther behind my goal, I was beginning to despair of ever catching up. Do I begrudge those guests and other things my lost reading time? It may sound like it, but I don't. Especially since I finally caught up and am back on track! It's just that competitive streak that I have-- and of which I have to be very careful. But since I've been reading-- and finishing-- books left and right, you know what that means, don't you? You bet-- I have to keep my eyes peeled for new books! The following books are my picks from the new crime fiction that's being released throughout the month of August. They are grouped by release date and contain all the information you'll need to add them to your own Must Read lists. Book synopses are courtesy of Amazon. Synopsis: "When Tahoe resident Jonas Montrop is kidnapped, his father pays the ransom but is then murdered. The next day, four robbers in hoodies and hockey masks take down an armored truck loaded with cash destined for a casino at Lake Tahoe. The company's boss calls Tahoe Detective Owen McKenna. As McKenna tracks the robbers, he finds two of them murdered in the grisliest of ways. McKenna uncovers evidence that implicates a young woman named Evan Rosen in all three murders. Evan worked for the father of the kidnap victim, and she had a powerful motivation for wanting the robbers dead. Evan is arrested and charged with murder. The problem is that McKenna doesn't believe Evan did it. The only way to save her from death row is to find the real killer. But this killer is smarter and meaner than any McKenna has ever caught. It looks like McKenna and Evan are both going to die before the killer is finished..."
Series: #1 in the Viv and Charlie historical series set in 1938 Chicago. Synopsis: "It's October 1938, and radio is king. Vivian Witchell is determined to be a star, and with her new role in the popular detective serial The Darkness Knows, everything she's dreamed of is finally within her grasp. Until the night she steps into the employee lounge and stumbles upon the body of the station's biggest--and most reviled--actress. Clutched in the dead woman's hand is a threatening letter that targets Vivian as the next victim. Suddenly, Viv's biggest worry isn't remembering her lines--it's staying alive." Synopsis: "With Darcy driving me out of London in a borrowed motor car, I soon discover that he isn’t planning to introduce me to the pleasures of sinning in secret—as I had hoped—but to make me his wife! Throwing these cares to the wind, nothing could deter us from our mission—except perhaps the news that my future father-in-law has just been arrested. 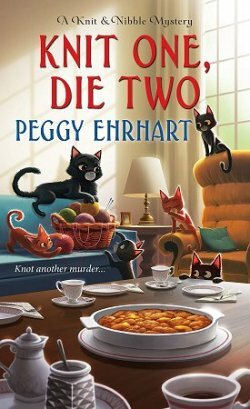 It seems the rich American was murdered and Darcy’s father had more than enough motive to do the deed. With the elopement postponed, we head for Ireland where he insists he’s innocent, and it’s up to us to prove it—for better or worse." 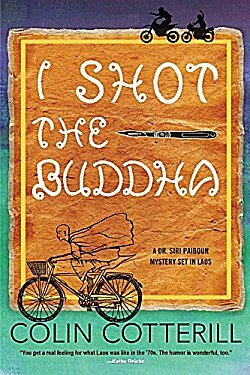 Synopsis: "Laos, 1979: Retired coroner Siri Paiboun and his wife, Madame Daeng, have never been able to turn away a misfit. As a result, they share their small Vientiane house with an assortment of homeless people, mendicants, and oddballs. One of these oddballs is Noo, a Buddhist monk, who rides out on his bicycle one day and never comes back, leaving only a cryptic note in the refrigerator: a plea to help a fellow monk escape across the Mekhong River to Thailand. Naturally, Siri can’t turn down the adventure, and soon he and his friends find themselves running afoul of Lao secret service officers and famous spiritualists. Buddhism is a powerful influence on both morals and politics in Southeast Asia. In order to exonerate an innocent man, they will have to figure out who is cloaking terrible misdeeds in religiosity." Synopsis: "The time has come for San Ladrón, California’s annual Miss Tangorli beauty pageant, and Poly has agreed to use Material Girl’s inventory of shimmery silks to create embellished gowns fit for a crown. But when millionaire Harvey Halliwell—the man who revived the city’s citrus trade with his imported tangorli tree—is found dead days before the pageant contestants are announced, something sour takes over the town. To make matters worse, her friend, mechanic Charlie Brooks, is soon caught up in the crime, having been seen in the company of the case’s prime suspect. Now Poly’s on a mission to squeeze out the truth. But as she searches for a pattern, the killer seems intent on cutting up the evidence..."
Synopsis: "Kate Morton meets Daphne du Maurier in this atmospheric debut novel about a woman who discovers the century-old remains of a murder victim on her family’s Scottish estate, plunging her into an investigation of its mysterious former occupants. 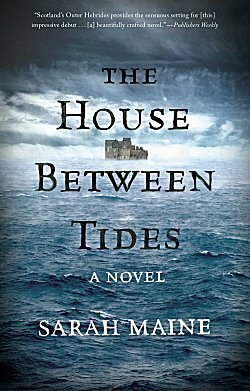 What happened between them has remained a mystery, but as Hetty listens to the locals and studies the masterful paintings produced by Theo during his short-lived marriage, she uncovers secrets that still reverberate through the small island community—and will lead her to the identity of the long-hidden body." Synopsis: "A discovery of the bones of murdered children is made on land that was once a county foster home. Now it's being developed as a brand new subdivision whose first residents are already railing against broken promises and corruption. But when three of these residents are murdered after the discovery of the children's bones, frustration turns to terror. 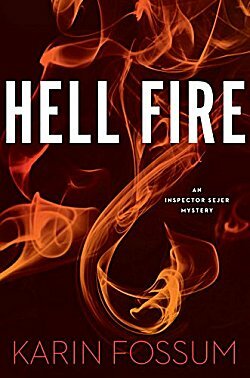 While trying to stem the panic and solve two crimes at once, Hazel Micallef finds her memory stirred back to the fall of 1959, when the disappearance of a girl from town was blamed on her adopted brother. 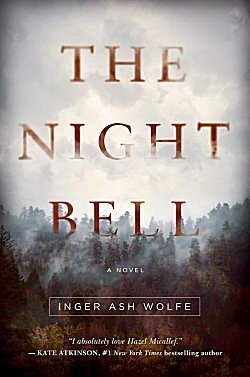 Although he is long dead, she begins to see the present case as a chance to clear her brother's name, something that drives Hazel beyond her own considerable limits and right into the sights of an angry killer." Synopsis: "For centuries, the Koh-i-Noor diamond has set man against man and king against king. The heist was daring and seemingly impossible. The hunt is on for the culprits. 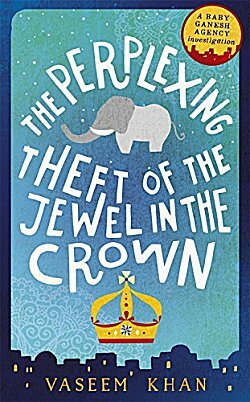 But it soon becomes clear that only one man -- and his elephant -- can possibly crack this case..."
Synopsis: "When an intricate old map is found stuffed into the walls of the bistro in Three Pines, it at first seems no more than a curiosity. But the closer the villagers look, the stranger it becomes. Given to Armand Gamache as a gift the first day of his new job, the map eventually leads him to shattering secrets. To an old friend and older adversary. It leads the former Chief of Homicide for the Sûreté du Québec to places even he is afraid to go. But must. For both Amelia Choquet and Armand Gamache, the time has come for a great reckoning." 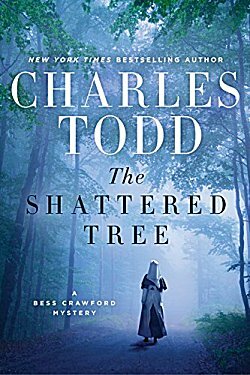 Synopsis: "For thirty-something blogger Cora Chevalier, small-town Indigo Gap, North Carolina, seems like the perfect place to reinvent her life. Shedding a stressful past as a counselor for a women’s shelter, Cora is pouring all her talents—and most of her savings—into a craft retreat business, with help from close pal and resident potter Jane Starr. 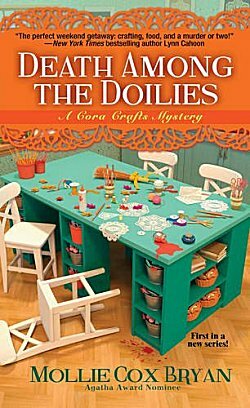 Between transforming her Victorian estate into a crafter’s paradise and babysitting Jane’s daughter, the new entrepreneur has no time for distractions. Especially rumors about the murder of a local school librarian . . . . But when Jane’s fingerprints match those found at the grisly crime scene, Cora not only worries about her friend, but her own reputation. 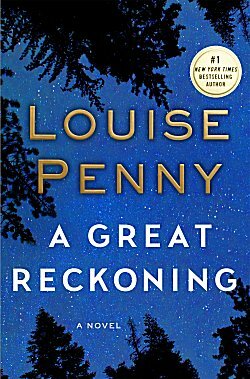 With angry townsfolk eager for justice and both Jane’s innocence and the retreat at risk, she must rely on her creative chops to unlace the truth behind the beloved librarian’s disturbing demise. 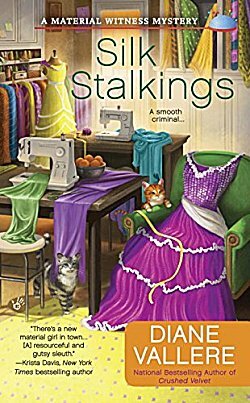 Because if the killer’s patterns aren’t pinned, Cora’s handiwork could end up in stitches . 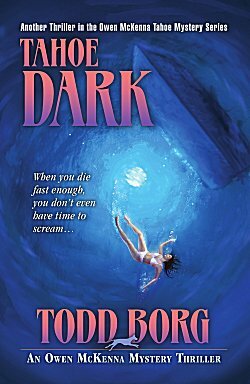 . ."
Synopsis: "A gruesome tableau awaits Inspector Konrad Sejer in the oppressive summer heat: a woman and a young boy lay dead in a pool of blood near a dank camper. The details of the deaths of Bonnie Hayden and her five-year-old son Simon are mysterious. There is no sign of robbery or assault. Who would brutally stab a defenseless woman and her child? Sejer and his fellow investigator Jakob Skarre begin a hunt for the killer that will eventually lead them to a heartbreaking conclusion. In a parallel storyline, masterfully fused, Fossum tells the story of Mass Malthe and her troubled son Eddie as they navigate a relationship that some would call too close. Eddie constantly thinks about his unknown father — someone his mother would rather forget. When long-held secrets are revealed, it turns out that Mass and Bonnie share more in common than Eddie could have ever guessed." 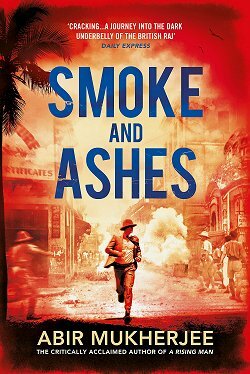 Synopsis: "At the foot of a tree shattered by shelling and gunfire, stretcher-bearers find an exhausted officer, shivering with cold and a loss of blood from several wounds. The soldier is brought to battlefield nurse Bess Crawford’s aid station, where she stabilizes him and treats his injuries before he is sent to a rear hospital. The odd thing is, the officer isn’t British—he’s French. But in a moment of anger and stress, he shouts at Bess in German. Of course, Matron could be right, but Bess remains uneasy—and unconvinced. If he was a French soldier, what was he doing so far from his own lines . . . and so close to where the Germans are putting up a fierce, last-ditch fight? 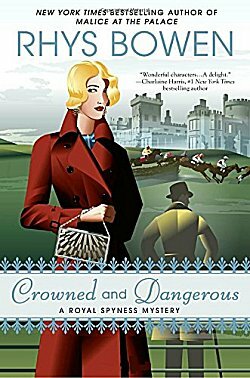 When the French officer disappears in Paris, it’s up to Bess—a soldier’s daughter as well as a nurse—to find out why, even at the risk of her own life." Definitely some wonderful reading in store for us all in August! 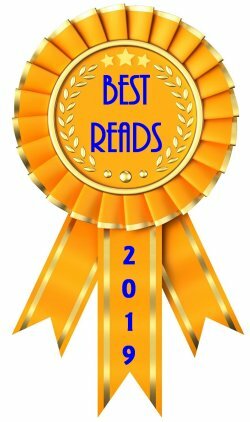 Most of the authors are "tried and true." I've read their books, I like the way they write, and I know I want to read more. 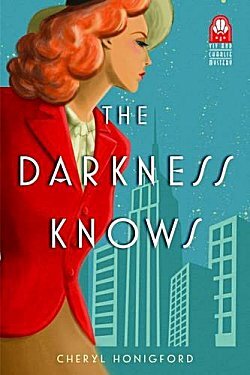 Of the new-to-me authors, I have to say that I'm really looking forward to getting my hands on a copy of Cheryl Honigford's The Darkness Knows. What about you? Which books tickled your fancy? This inquiring mind would love to know! I'm excited to see the second Baby Ganesh Detective Agency entry. And I'm waiting with bated breath to hear what you think of The Darkness Knows!! I'm definitely going to be on the lookout for both these titles at The Poisoned Pen!